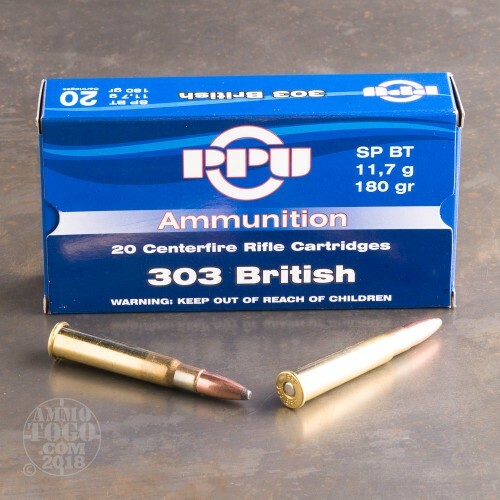 It seems there are two kinds of .303 British ammo on the market. Aging old surplus of dubious quality sourced from former colonial backwaters that could rot your bore (assuming it even fires) or high quality, brand new commercial ammo. Naturally we prefer the latter to the former, and are proud to carry Privi Partizan 180 grain soft point .303 British ammo. Unlike the surplus stuff, this is brand new, brass cased, boxer primed ammo that is easily reloaded. The heavy 180 grain jacketed soft point bullet is ideal for hunting or just keeping your favorite old warhorse shooting. 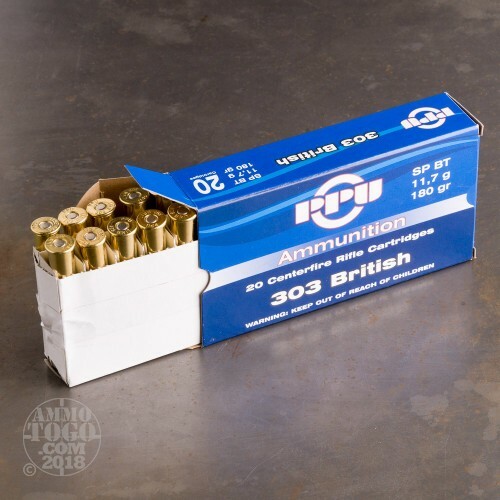 Packed in handy 20 round boxes, this clean ammo is made to modern specifications and will not stress old guns in good working order. Unlike old military ammo, this uses clean burning smokeless powder instead of cordite, which reduces wear and tear on your bore. The brass case is reloadable, but you should be aware chamber configurations on many old Lee-Enfield rifles are extremely hard on brass. 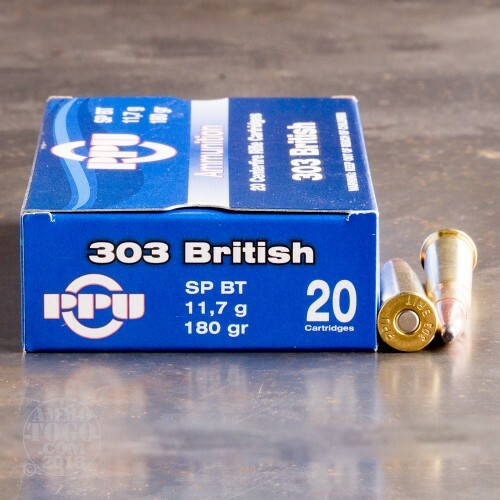 Ammunition To Go has scoured the globe for the finest ammo, and that is why we are pleased to offer Privi Partizan .303 British. 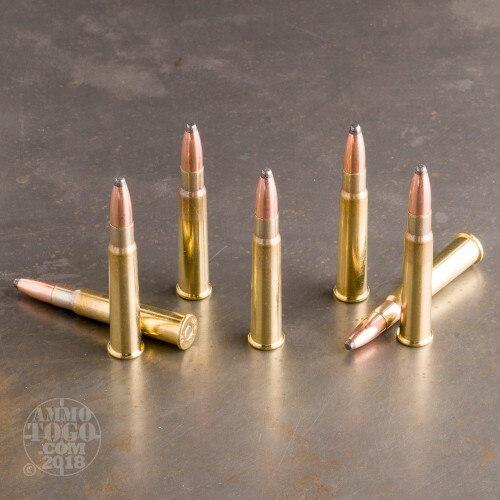 Perfect for hunting or target shooting, there is no cleaner, safer ammo for your old SMLE available today. Picked up an old Lee-Enfield and wanted to try an assortment of different loads at 100 yards. These rounds did a great job of finding their targets and burning clean in the barrel. I've used this same brand in my M1 Garand and it has again proven to operate flawlessly.